Google allows your blogs to be served over an encrypted connection. This feature was rolled out long back for blogspot blogs. In order to make use of this feature, you have to do almost nothing, but this post will provide some more details around the same including setting up of http to https redirects. If you are using a blogspot blog(i.e not a custom domain, then your blog will already be having an https address. Blogger provides XML templates and you will find tonnes of third party templates on the internet. You might also want to tweak the templates to change the way how your blog looks. Before you make any changes to your template, it might always be a good idea to take a backup of your template. This will allow you to restore it back in case the template edit did not go well. Backing up restoring templates on blogger is very simple using the new Blogger interface. In this tutorial, we will guide you through the process. Blogger allows you to seamlessly integrate with any domain name. To start off you have to make your GoDaddy domain to point to Google's servers. This simple tutorial will guide you step by step with screenshots and instructions to make it easier for you. Google’s domain registration service Google Domains is now available to everyone in the US.Google domains integrates nicely with many Website-publishing platforms like Wix,Shopify,Sqaurespace and Weebly. Google’s own platform (Blogger) wasn’t supported initially, but Google has now rolled out support for Blogger. This would mean that publishing your Blogger blog to a custom domain will be a lot more easier. 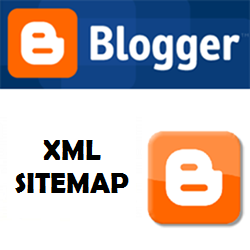 Sometime last year, we had informed you folks about Google rolling out XML sitemaps for Blogger blogs. Though we couldn’t find any official announcement from Google/Blogger, it looks like this feature is now available on all Blogger blogs including those which use a custom domain name like this one.